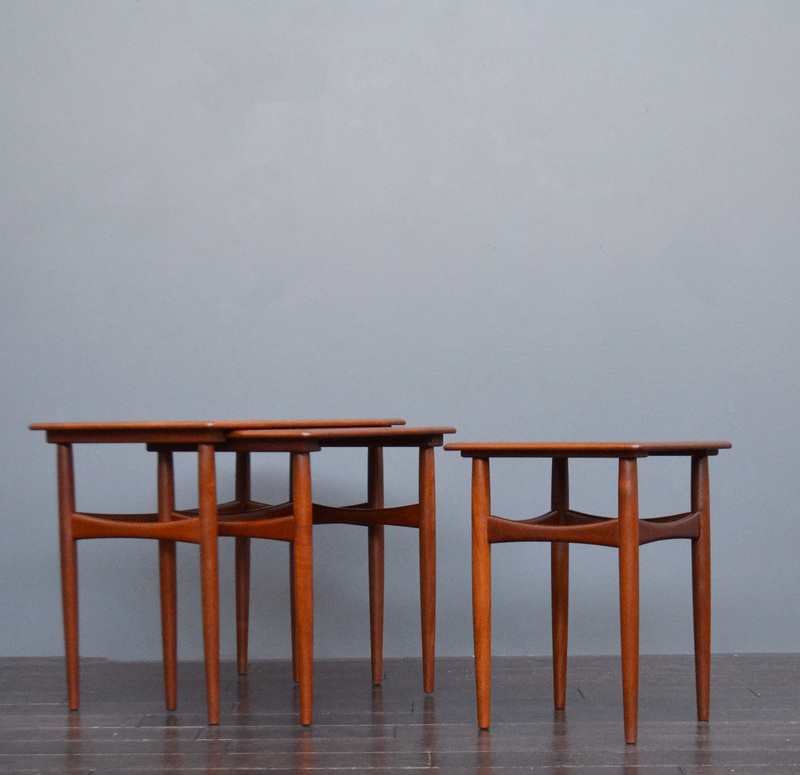 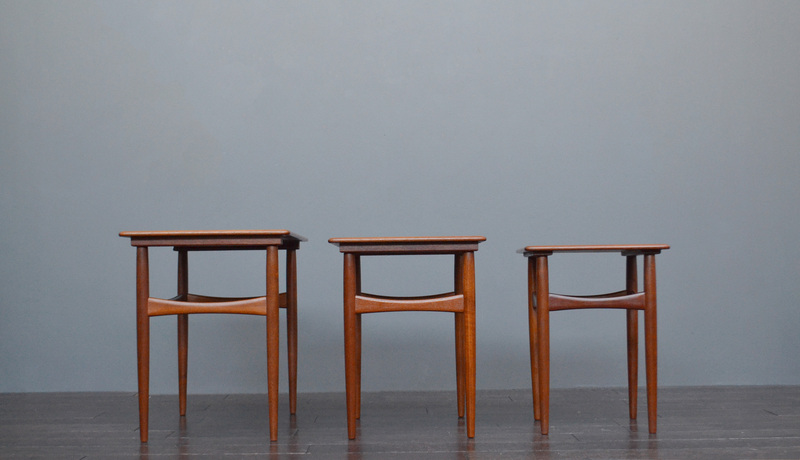 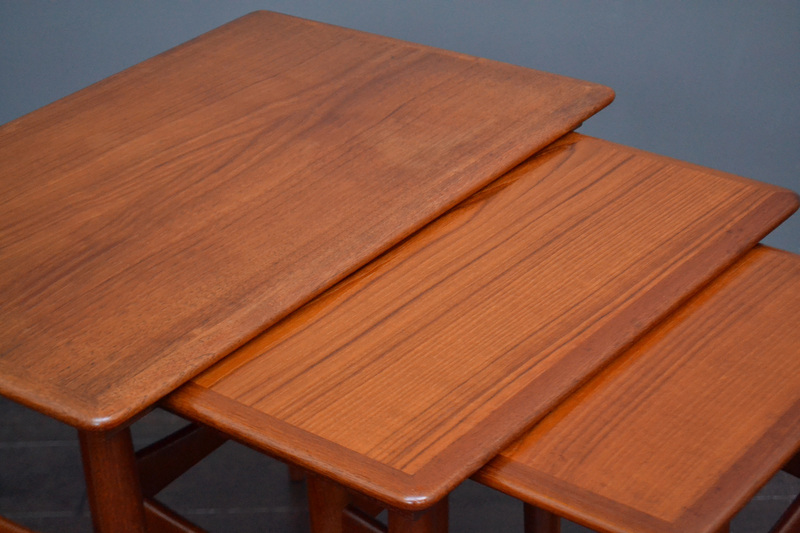 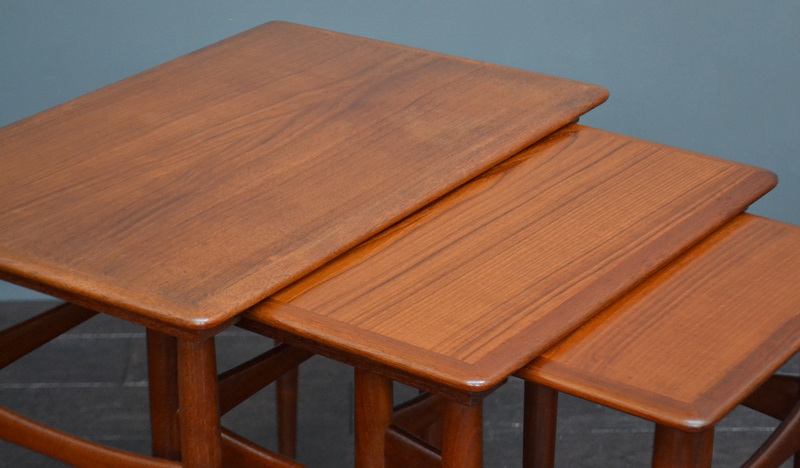 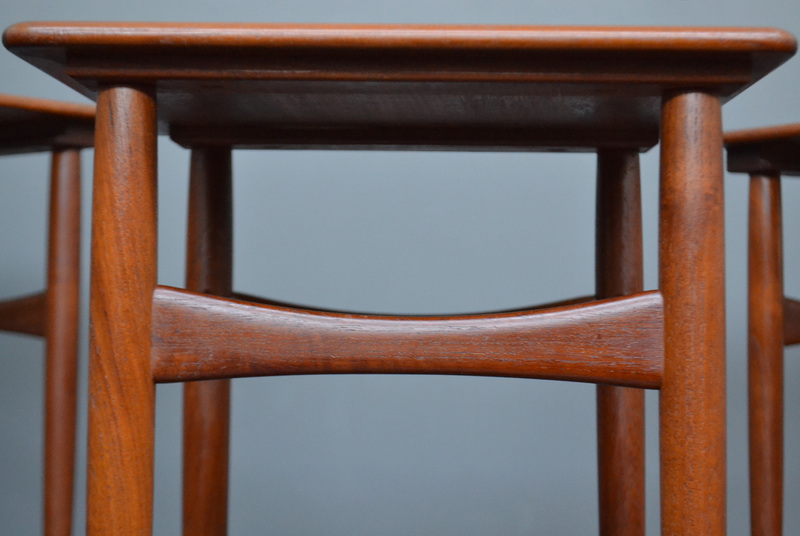 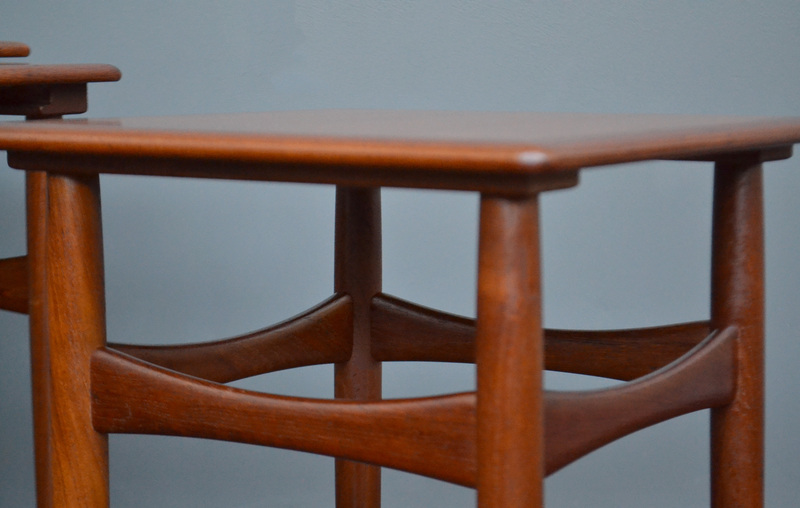 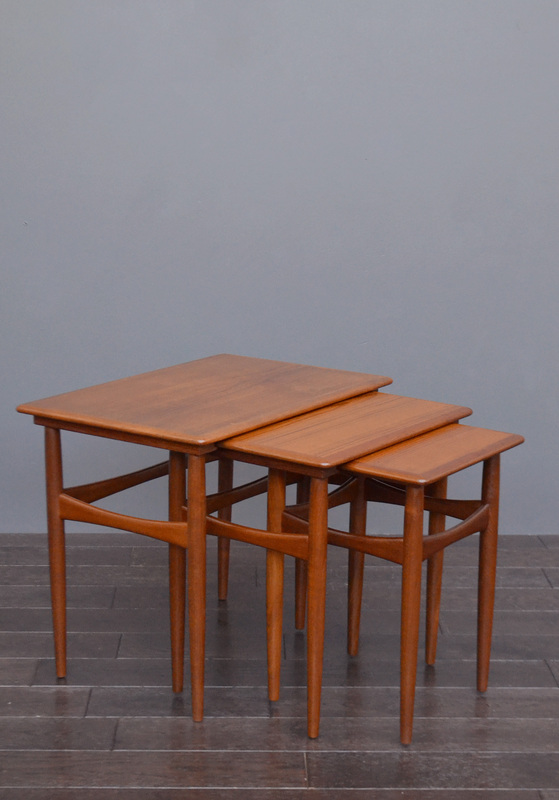 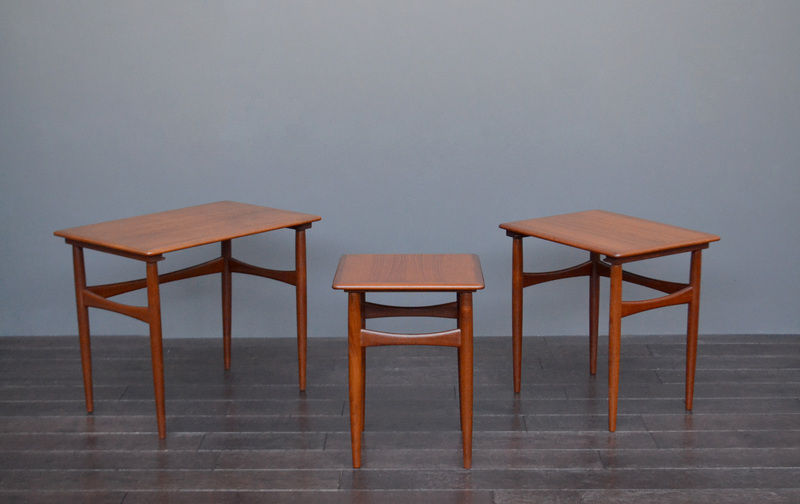 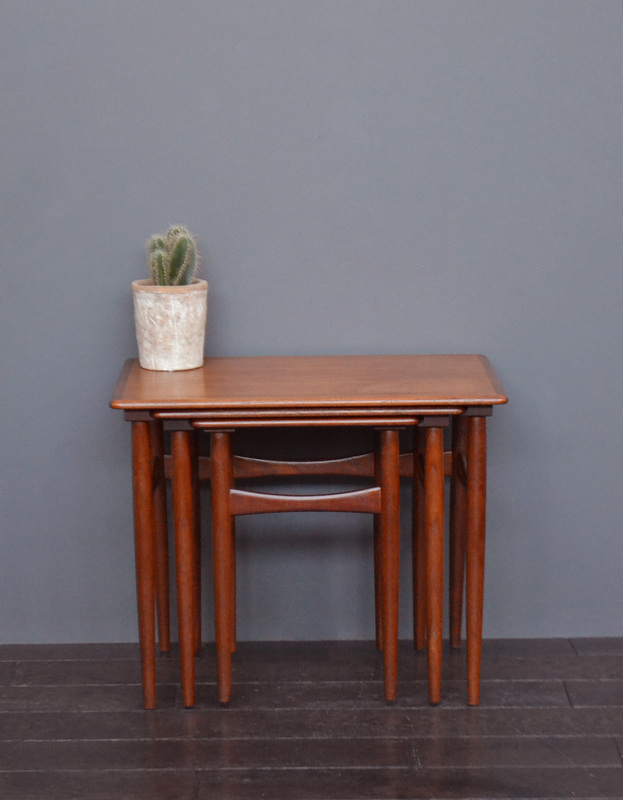 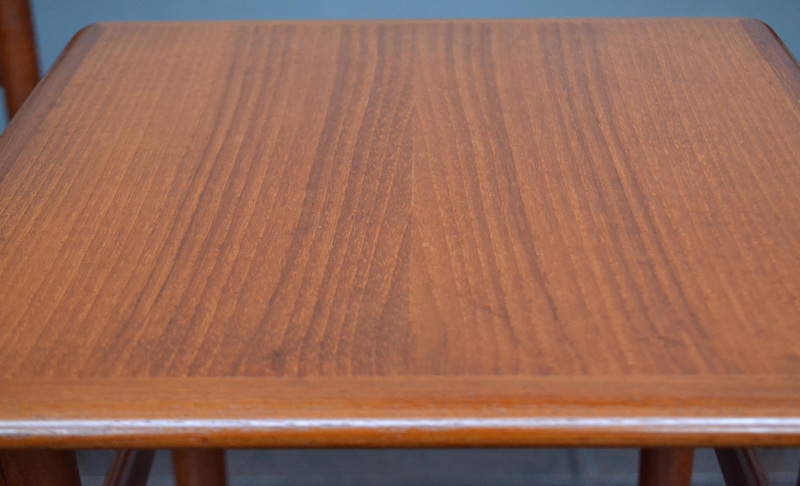 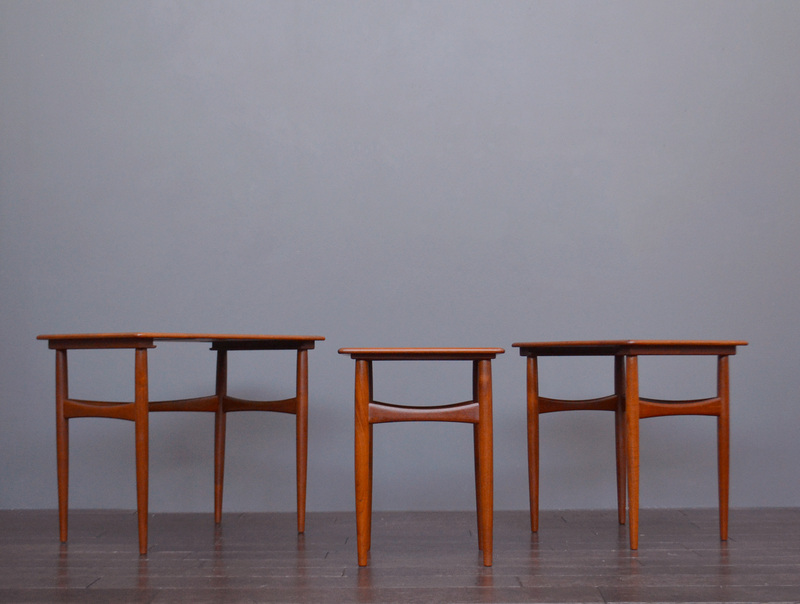 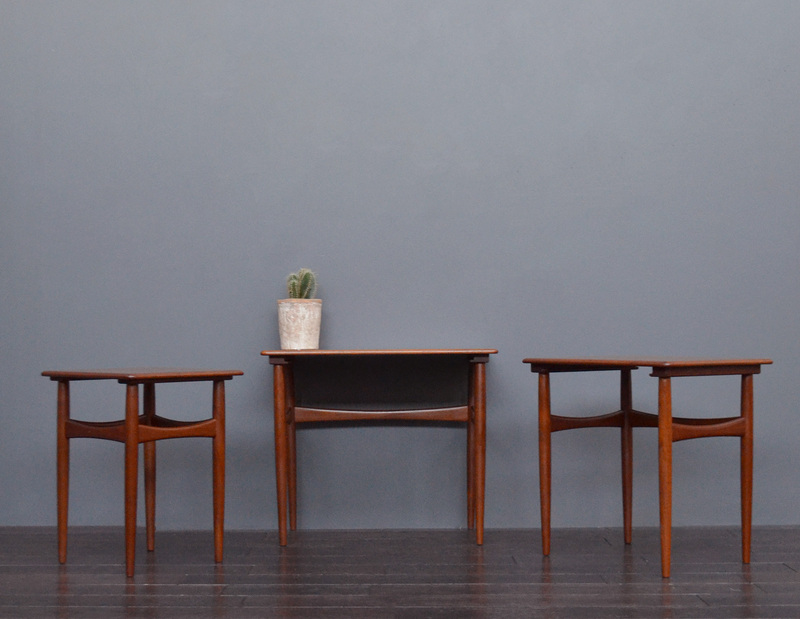 Completely restored teak three part nesting table set, designed by Kai Kristiansen for Skovmand & Andersen, Denmark. 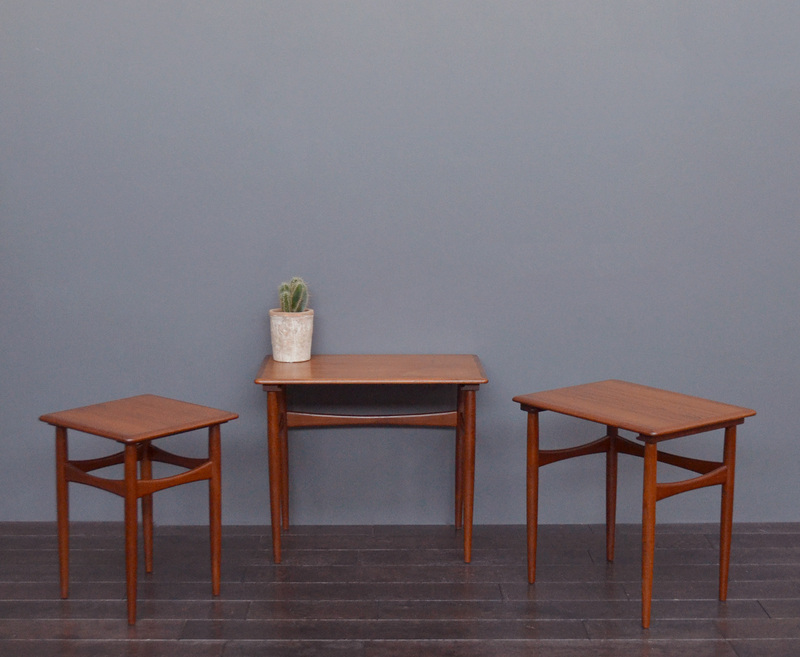 1960’s. 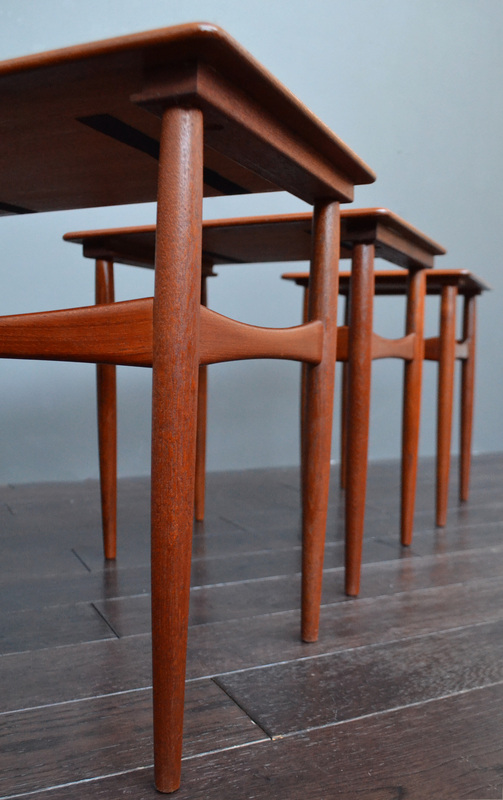 Design consists of tapered legs and curved stretchers and solid band edges on each table. 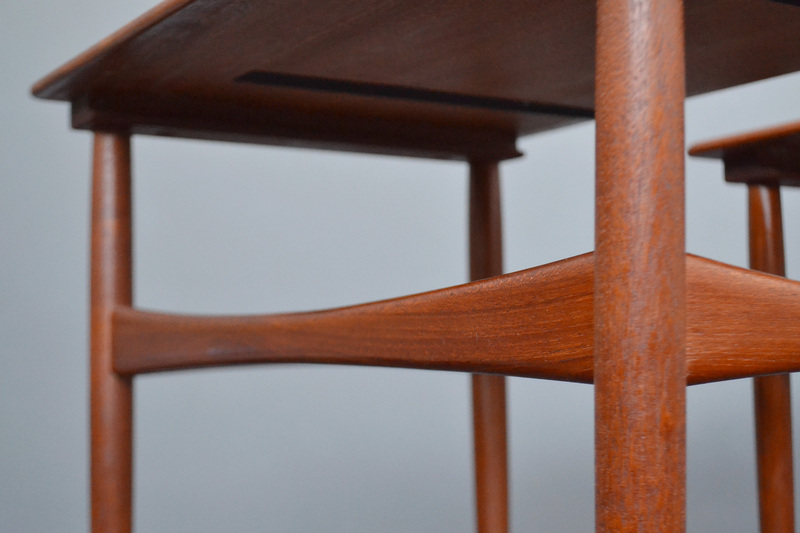 The smaller tables slides in under the larger tables via a tongue and groove construction. 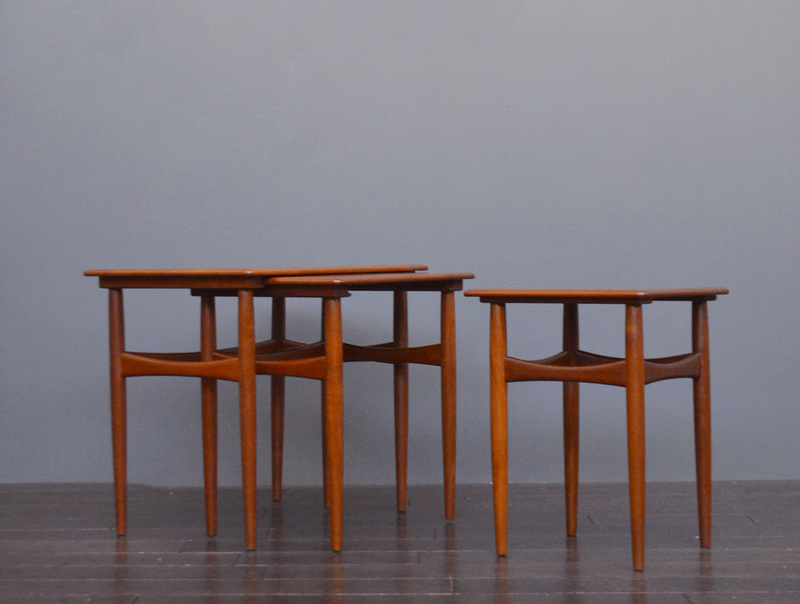 Great mid century Danish side tables.